Beloved comedian Gad Elmaleh hits the road with The Dream Tour! Gad Elmaleh's The Dream Tour! 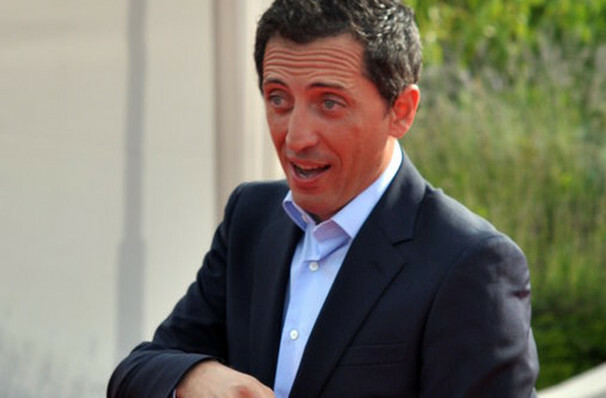 Gad Elmaleh has become one of the most recognizable comedic talents, and how he's taking those talents onto the road. The Dream Tour follows on from his American Dream tour, his first English language special which is now available on Netflix. On stage, Gad is the master of keeping his audience in hysterics, so be prepared to have you sides split! Make sure you don't miss the Seinfeld of France as he continues to cement himself as one of the most beloved current comedians. His most recent work, Gad Gone Wild, finds itself a Netflix Original and showcases his incredible ability to perform in both French and English. Sound good to you? Share this page on social media and let your friends know about Gad Elmaleh at Wilshire Ebell Theatre. Please note: The term Wilshire Ebell Theatre and/or Gad Elmaleh as well as all associated graphics, logos, and/or other trademarks, tradenames or copyrights are the property of the Wilshire Ebell Theatre and/or Gad Elmaleh and are used herein for factual descriptive purposes only. We are in no way associated with or authorized by the Wilshire Ebell Theatre and/or Gad Elmaleh and neither that entity nor any of its affiliates have licensed or endorsed us to sell tickets, goods and or services in conjunction with their events.